Named for the vast, 1/4-acre pond (often used for skinny dipping by residents back in the day) upon which this microbrewery abuts, Lake Louie Brewing sprouted up back in 2000 in the tiny town of Arena just off U.S. 14. Their beers are available all over the state, but their brewery is of course where you get the freshest and experimental styles. 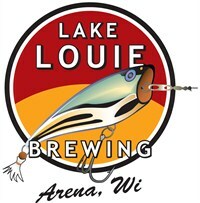 Lake Louie’s major beers include the Warped Speed Scotch Ale, Golden Booty Cream Ale, Kiss the Lips IPA, Tommy’s Porter, and their Arena Premium Pale Ale. Some limited releases are also available here and there; a brewery tour gives you the best access, and they conduct them on “select” Saturdays at noon and 1:15pm. Contact them for details. Arena is close to Spring Green, and a tour of Taliesin or House of the Rock nearby along with a stop at Lake Louie makes for a fun roadtripping afternoon!